Our non-profit trade association is made up of thousands of industry professionals, technicians, and craftsmen and their member companies who have extensive knowledge and experience in building and development. We address the issues that are important to the industry and we provide unparalleled leadership to our members, while supporting safe, healthy, and sustainable growth and measures that assure an adequate supply and range of housing for all incomes and lifestyles. The organization’s leaders and members advocate for policies that promote and protect appropriate development and redevelopment. We increase awareness about the importance of housing and those who provide it, and facilitate business opportunities. 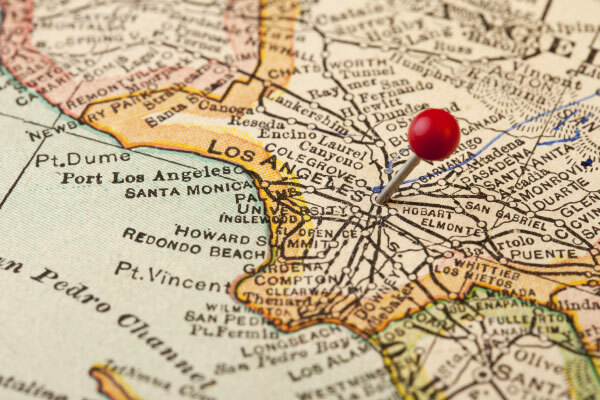 BIA-LAV is one of four chapters – Los Angeles/Ventura, Orange County, Riverside, and Baldy View (San Bernardino County) – that make up the Building Industry Association of Southern California, which addresses issues throughout the region and oversees activities of the Chapters. BIA-LAV is also affiliated with the statewide California Building Industry Association (CBIA) and the National Association of Home Builders (NAHB). BIA-LAV serves builders and developers in all but far-eastern Los Angeles County (part of the Baldy View Chapter) and all of Ventura County. 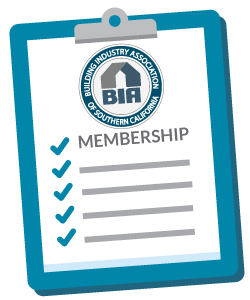 BIA-LAV committees are a great way to get more involved in the Chapter and with the industry. Committees typically have 5-20 participants and all BIA members are welcome to take part. Committees are headed by a designated chairman, who is responsible for running the meetings and coordinating with staff. To sign up for a committee or get more information, contact Jennifer Minzey. The Membership Committee is a team of dedicated volunteers with a passion for the BIA. It looks for creative ways to engage both existing and potential new members and promote opportunities to increase BIA-LAV’s visibility. It seeks out new members to join the LAV Chapter and works diligently to retain its existing members. The Committee members also help plan and support Membership Drives. The Education and Events Committee plans and helps promote and facilitate the educational offerings and social events of the Chapter for each calendar year. They are responsible for guiding and shaping the chapter’s activities, both social and educational. Our members volunteer to raise awareness of the chapter activities by promoting them to their colleagues and attending and participating where needed. The Emerging Leaders Committee focuses on engaging young (40 and under) BIA members and providing them with a networking and educational experience while fostering political thinking. By giving young leaders the tools to expand their level of industry knowledge and local political activism, they will be better prepared to become future industry leaders. In turn, they will become stronger advocates in the building and land use process and a voice for the betterment of our communities, its residents and the business community. Chair: Alyssa Trebil, DuctTesters, Inc. The Golf Committee is a catalyst for the Annual Golf Tournament and supports and secures sponsors, foursomes, and raffle prizes for the event. The committee provides insight as to how the event will continue to grow and be successful. The Government Affairs Committee monitors and provides direction on all policy-related matters. The Committee facilitates the exchange of information between our members, public agencies and policy makers, developing and implementing strategies to ensure that our members’ interests are represented. cost of housing, and recommend alternative solutions. Our aim is to be a valued partner to government agencies as they explore various housing policies. The Communications Committee focuses on educating the public on the benefits of new housing and works to help frame policy and advocacy issues. The Committee helps direct general communications outreach efforts including social media and grassroots efforts. The Multi-Family Committee represents BIA members who design and construct apartment buildings, condominiums and mixed-use development projects. The Committee provides the opportunity for these members to come together to discuss and provide direction on issues specific to the multi-family sector, as well as networking opportunities and educational offering potential. Chair: George Chiang, Synergy Alliance Advisors, Inc. 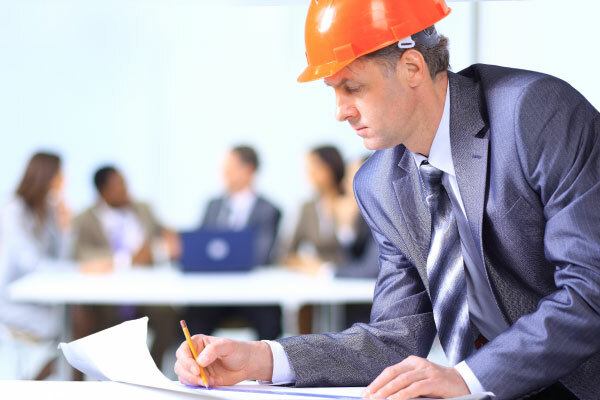 The Political Resources Committee helps direct industry support to candidates and elected leaders who demonstrate support for the building industry and its members. The Committee meets with and interviews candidates for office and strategizes about long-term focus and goals. 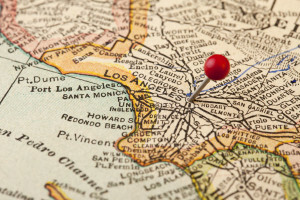 Given the highly politicized nature of land use development in the Southern California region, the Committee plays an integral role in educating decision makers and helping connect companies with the elected leaders of today and tomorrow. The Sales & Marketing Committee will work in conjunction with BIA’s Greater Sales & Marketing Council of Southern California to bring greater opportunities for continuing education, professional and personal enrichment, as well as networking opportunities for sales and marketing professionals in the Los Angeles/Ventura region. The Committee’s goals for 2018 include creating and successfully presenting four events, while outreaching to sales and marketing professionals in the geographic region to determine the types of programming and frequency of localized events most desired by the current and potential members. The Trap Shoot Committee provides direction, solicits prizes and sponsors for the Trap Shoot. This committee has grown and continues to plan successful trap shoots over the course of the short time that it was formed, a little over 3 years ago. Chair: George Dickerson, All Promotions Etc. Vice-Chair: Karl Mallick, Kimley-Horn & Associates, Inc. The Utilities Committee has been established in order to work collaboratively with executive level staff from the various major utilities in order to create an efficient and effective process from plan review to meter install to customer account set-up. Working groups have been established with Los Angeles Department of Water and Power, Southern CA Edison and SoCal Gas. The Sustainability Working Group focuses on the advancement of sustainable energy, water and resiliency across the building industry. Through education and advocacy, the sustainability committee works with fellow stakeholders to review environmental policies set by local jurisdictions and ensures that all measures are cost effective and reduces the use of energy and water. Three separate working groups have been established in order to work collaboratively with executive level staff from the various major utilities in order to create an efficient and effective process from plan review to meter install to customer account set-up. Working groups have been established with Los Angeles Department of Water and Power, Southern CA Edison and Southern CA Gas Company. The Chapter’s Golf Tournament takes place early Summer at a prestigious local golf course. It is one of our signature events and is well-attended by our members and stakeholders. The Golf Committee is in charge of organizing and conducting the tournament, in addition to gathering vital event sponsorships. Each November, the chapter hosts its Awards & Installation Evening. The Installation Committee plans and oversees many event components, including entertainment, award details, logistics, schedule, etc.